UFC president Dana White might want to get his checkbook out now for a couple of bonus checks. Former welterweight champion Robbie Lawler has signed to meet former lightweight king Rafael dos Anjos in a five round main event scheduled for Dec. 16 at FOX UFC Fight Night in Winnipeg, Canada. UFC officials announced the matchup on Thursday. Q: Any chance this fight isn't good? A: NO! @Ruthless_RL meets @RdosAnjosMMA in the main event at #UFCWinnipeg! Lawler, who has earned four ‘Fight of the Night’ bonuses since returning to the UFC, will look to put himself back into title contention when he returns in December. After taking a year off to recover from a knockout loss to Tyron Woodley, Lawler got back in the win column with a victory over Donald “Cowboy” Cerrone in July. As for dos Anjos, the former lightweight champion moved up to 170 pounds earlier this year and has found nothing but success so far. 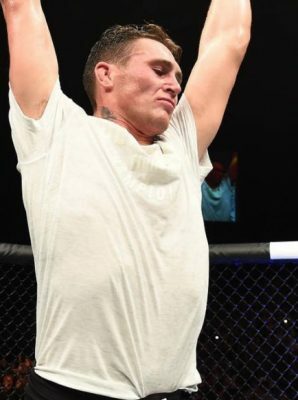 He defeated former Strikeforce welterweight champion Tarec Saffiedine in his debut before dispatching top 10 ranked fighter Neil Magny with a lightning quick submission in September at UFC 215. Now Lawler and dos Anjos will clash with the winner almost assuredly entering title fight conversations for a chance to meet current champ Tyron Woodley next year.